Below is a list of all the known home venues for the club down the years since 1882. Some grounds were obviously used more than others, but it does highlight the nomadic nature of the club. The club has played at the present ground in Tolworth since 1988, and finally have a place called home - it only took 106 years! 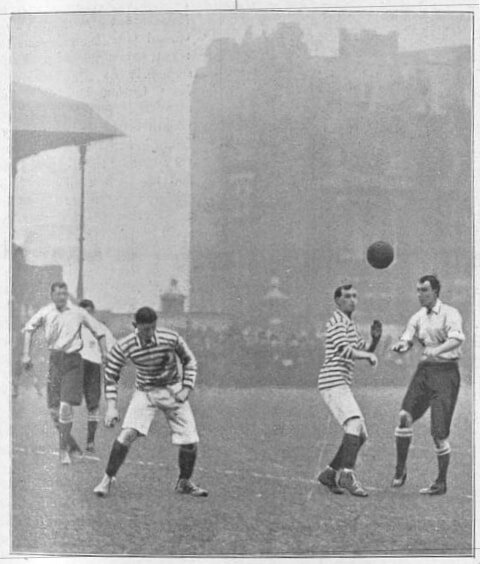 Corinthians vs Queens Park at the Queens Club, London. 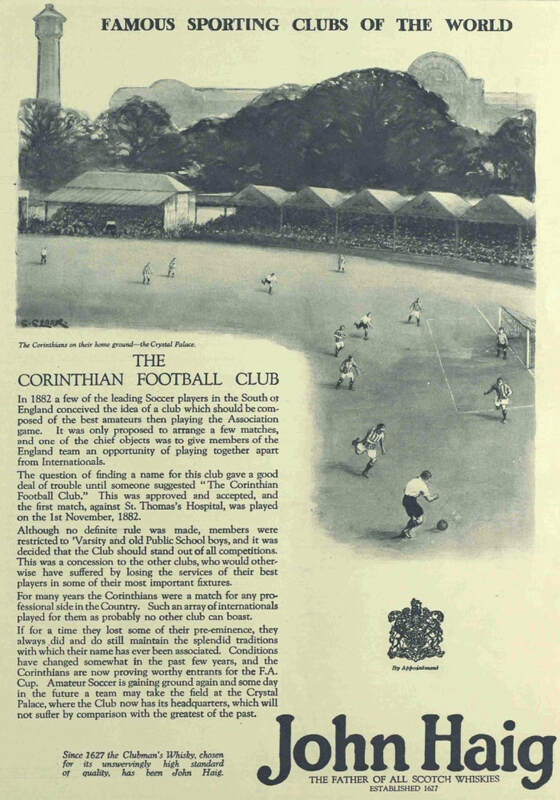 An advert for John Haig Whiskey depicting Corinthians' Crystal Palace ground.